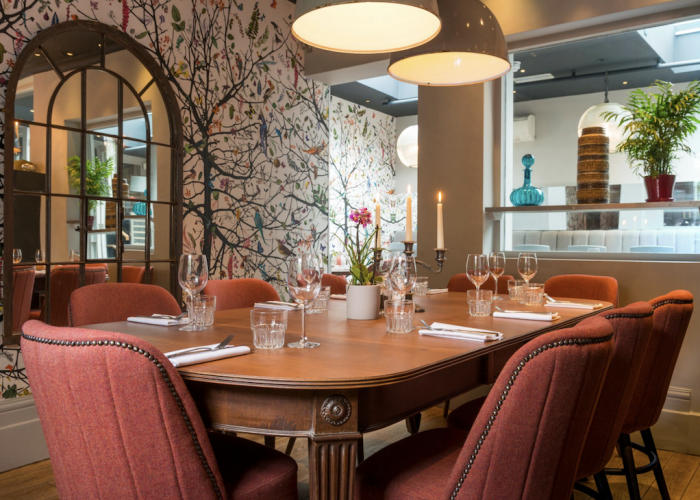 Luxury Private Dining Rooms at The Phene, Chelsea - London SW3 5NY. Thank you for your interest in The Phene! 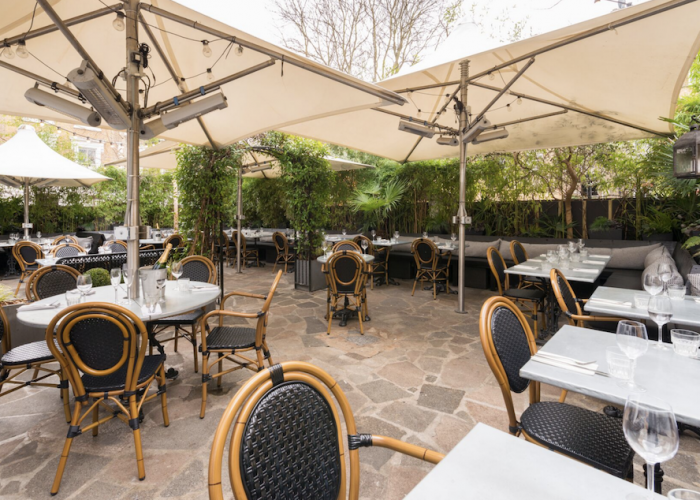 With a heritage stretching back to 1853, The Phene has evolved into a Chelsea institution and a unique venue in London, focusing on providing quality food and drink in a relaxed and luxurious setting. Where better to host your event than at The Phene? 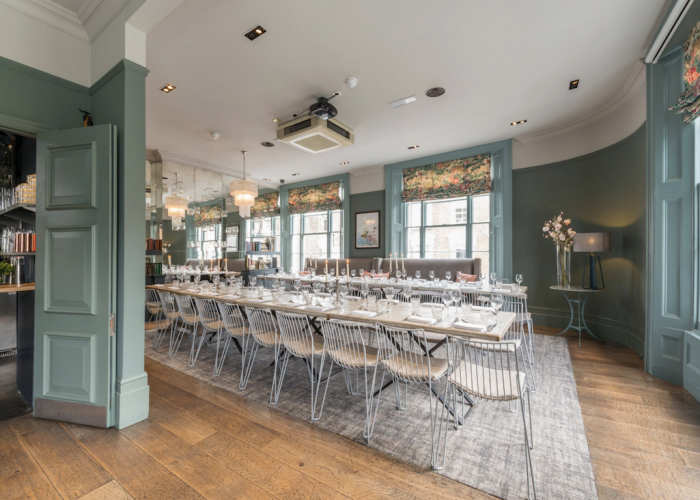 The Phene’s range of rooms and spaces make it the perfect Chelsea location for any event in all seasons. We regularly cater for weddings, engagements, Christenings, birthdays, corporate functions, and large dinners, from 12 to 200 guests. Our dedicated events team is on hand to help you plan your event to the finest detail. We offer the perfect Chelsea wedding venue, from summer receptions in the leafy garden, to cosy winter occasions in front of the Oakley Room fire. Our canapés and set menus are designed with the finest British produce and to suit all, from traditional hearty favourites to lighter more healthy dishes, with plenty of gluten free, vegetarian and vegan options. 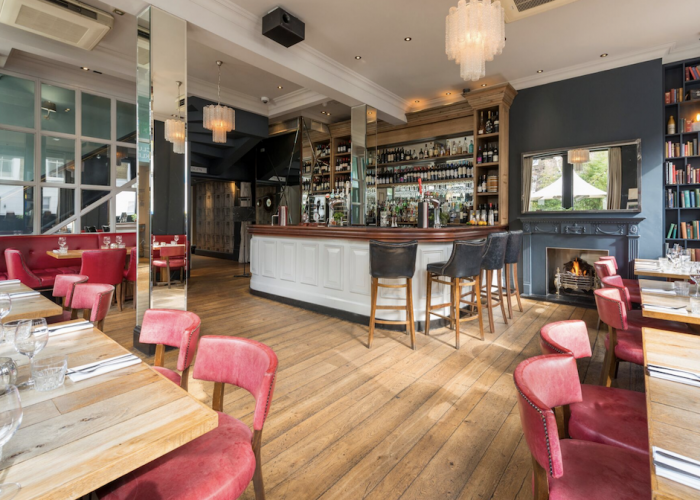 Located on the first floor of our venue, the Oakley Room is light and spacious with its own bar, making it perfect for drinks parties for up to 75 guests or formal dinners of up to 44. The room boasts a beautiful mirrored wall with hanging lanterns, giving it a relaxed and elegant feel. Aux cable, projector and sound system are available. Relax and kick back in our contemporary Club Room. 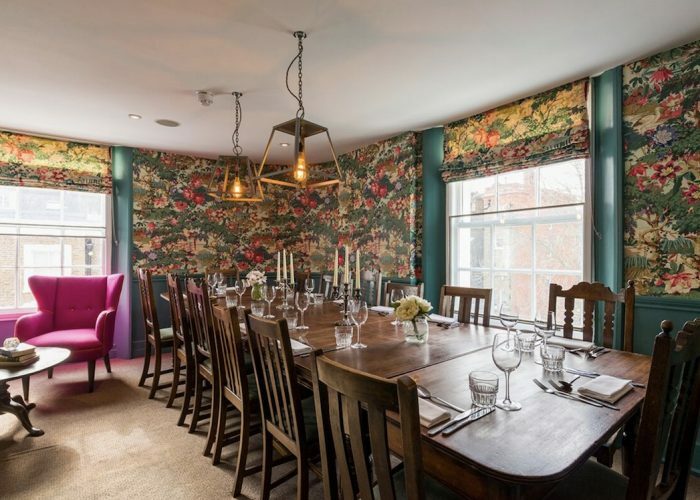 With the vibrant style, wood panelling and versatile layout, it makes a perfect space for exclusive dinners, corporate meetings and special occasions. The Club Room can accommodate up to 18 people seated and 30 standing for a drink and canapé reception. 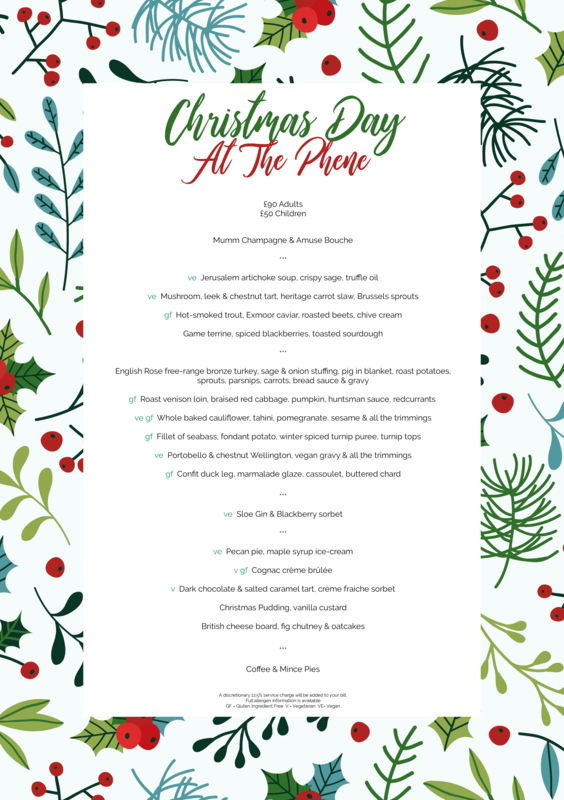 Enjoy a drink in the lounge area from the bar stocked to your tastes, then move to the dinner table to dine from one of our delicious seasonal menus. The Club Room has WiFi, a large media screen and an independent music system with iPod docking station to meet all your needs. The garden can accommodate up to 60 guests for a drinks and canape reception. Providing respite from city living, our garden is the perfect escape. With parasols and heat lamps to protect you from the unkind weather, the garden is a great place to be all year round. Enjoy your special day with us in this green oasis, with our sumptuous canapé menu, sure to cater to all tastes. 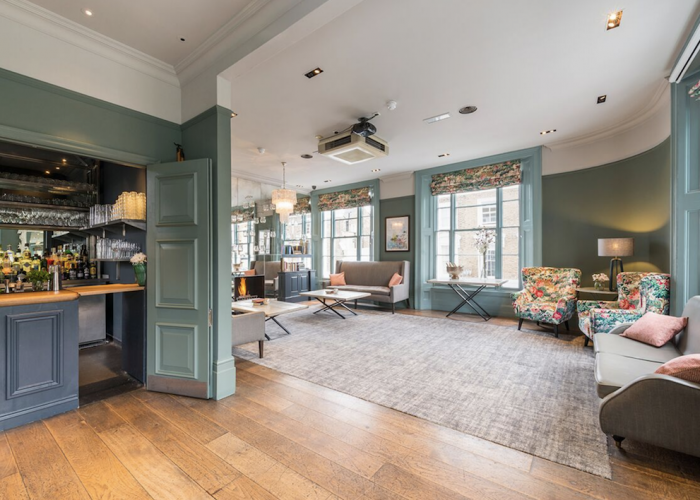 Located on the ground floor of The Phene and adjacent to the bar, this light and airy space is available for private hire, styled with modern and elegantly quirky features and fabrics. Should you wish to have a dinner party for up to 20 this is the ideal space. 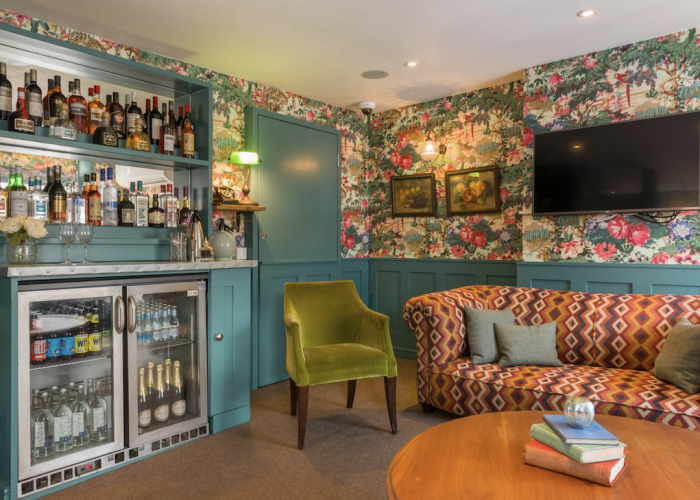 With giant antique glass lamps and our signature wallpaper, the Conservatory is ideal for the privacy of an exclusive hire, with the atmosphere of the Phene bar. 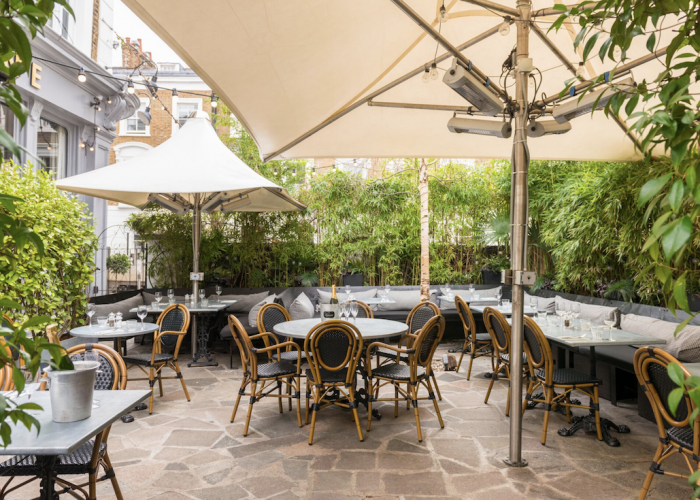 Located next to garden on the ground floor of the Phene, we suggest booking the Aviary for drinks parties of up to 40 or for smaller dining parties of 16 guests. 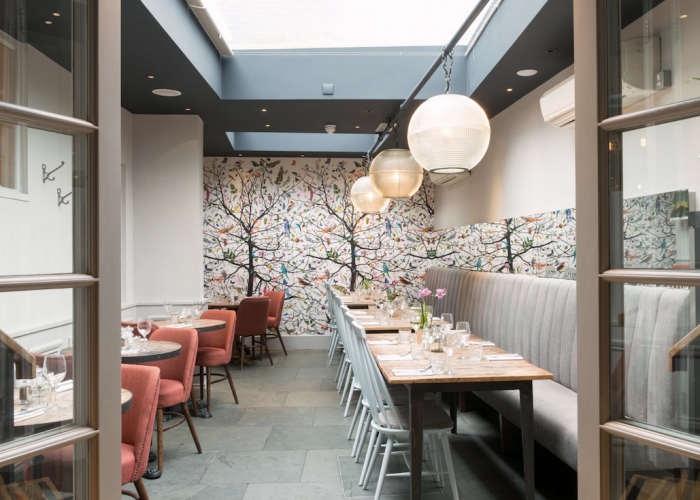 The duck egg blue banquet seating and bird cage hanging lights give it an informal feel which is best suited to occasions that require atmosphere of the bar but with plenty of room for your guests to mingle. Your dedicated events coordinator will be with you every step of the way and can assist as much or as little as you prefer. We will go through every detail step by step to ensure you have a great time with us.